RSVP/Registration Systems, Guestbooks, and email systems. Gendzier Designs has your wedding website, bar/bat mitzvah website or any event promotion website covered. With all the online space you need and custom URLs, let Gendzier Designs help you with the design of your next event website! Event websites help you save money on invitations and rsvp cards and will help save time keeping track of who RSVP’d! Share photos, videos, and more with your guests as you lead up to the event. 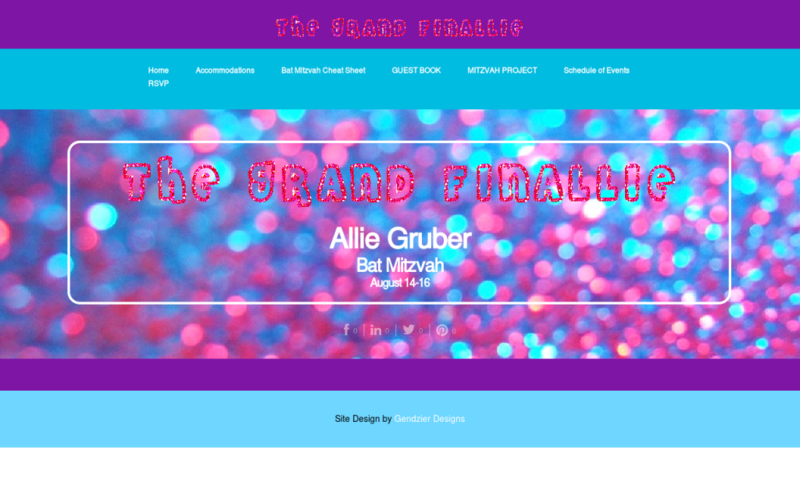 Take a look at Allie’s bat mitzvah website!